Van Tilburg - Joelle Delbourgo Associates, Inc. Author, mountain rescue doctor, global adventurer: there’s no shortage of adrenaline in Dr. Christopher Van Tilburg’s days. 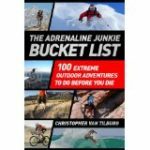 His life list just released, Adrenaline Junkie’s Bucket List: 100 Extreme Outdoor Adventures to do Before You Die (St. Martins, 2013) details action-packed journeys around the world. From surfing the Fiji, ascending Kilimanjaro, and back- country skiing Iceland, the tour of the best adventures of a lift time may have you quitting your job, selling your house, and setting out for a life of fun. Fully illustrated with dramatic color photos, this is the perfect gift book for outdoor enthusiasts and armchair adventurers. 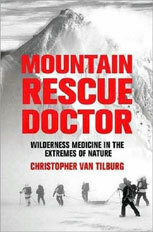 Mountain Rescue Doctor: Wilderness Medicine in the Extremes of Nature (St. Martins, 2007), was shortlisted for both Oregon Book Awards and Banff Mountain Book Awards and received accolades from Kirkus Reviews, Publishers Weekly and Library Journal. The book recounts harrowing and heartwarming stories from his years with Crag Rats, the oldest mountain rescue unit in the nation. Dr. Van Tilburg has a day job. 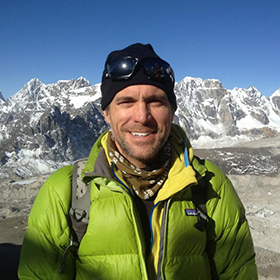 He is a physician specializing in wilderness, travel, occupational and emergency medicine. In addition to working as a practicing physician, his posts include Communications Editor for International Society of Travel Medicine, Editor Emeritus for Wilderness Medicine, member of Mountain Rescue Association Medical Committee, and staff physician at Mountain Emergency Services on Mount Hood.